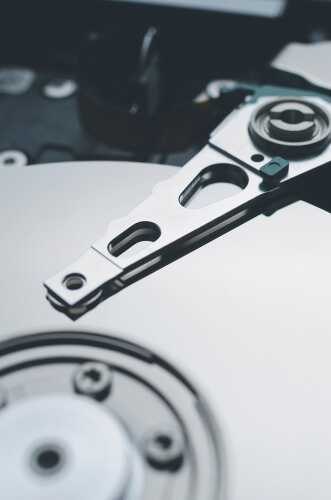 This is what you need to know about partitioning your hard drive. So how do you partition the hard drive on your computer? But more importantly, why would you ever want to do so? These are just some of the questions that we will try to answer in this guide. To start things off we want to let you know that we are totally aware of the fact that some find the idea of partitioning their machine’s hard drive rather technically involved. Normal online consumers usually do not want to get themselves involved in such a task. Moreover, there is some truth to the fact that the majority of the people in the online world don’t really need to bother with such an activity. However, we are here to tell you that the actual process of partitioning one’s hard drive is rather simple. More precisely, it is relatively simple. The other great thing about learning how to partition your hard drive is that it may save you a lot of money. 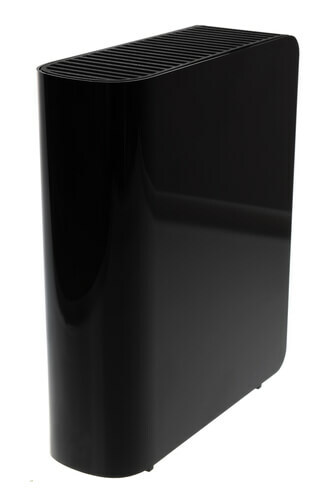 Other benefits of partitioning your hard drive right now may allow you to have a simpler and easier computing life. Not only that, but depending on your use, partitioning your computer machine’s hard drive may actually make you far more productive than before. Let’s list out some of the advantages that you stand to gain by partitioning your machine’s hard drive component. After listing out the benefits, we will also talk about why a given online consumer would want to partition his/her hard drive. So the first thing you need to know here is that when we say you need to learn how to partition your hard drive what we really mean is that you should split up your hard drive into a multiple number of drives. And that is exactly what a partitioning process does. Now, for clarity’s sake, when we say you need to partition or split your machine’s hard drive we do not really mean that you should take a saw and then split your machine’s internal disk. However, we would also like to note that once you have finished a given partitioning process you do actually get to split up all the partitions into smaller chunks at a very low (perhaps the lowest) level of your machine’s operating system. Not going into the details of what actually happens, you should know that once you have gone through a partitioning session the end result is always something along the lines of you having access to a total of two or more drives. These drives are installed on your machine automatically. 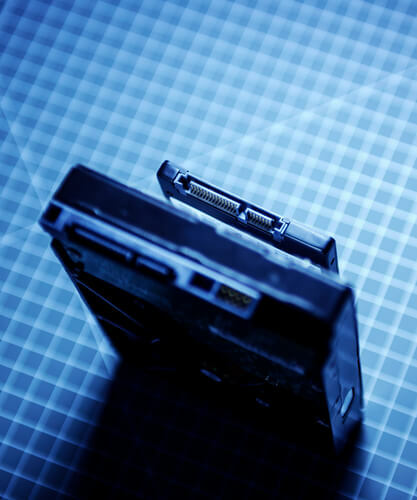 Without partitioning, you would only have access to a single drive. Do take note that whatever we have mentioned so far mostly applies to those computer machines that are currently running Windows or macOS as their primary operating system. For those online consumers who are still making use of a desktop size computer machine, they still have the option of physically installing a second mechanical hard drive or an SSD depending on their needs. We would have thought it was pretty obvious, but then we thought it never hurts to state the obvious from time to time. Our research shows that physically installing another drive is at least the tidier option when compared to the partitioning option. Of course, in order to install a physical second computer hard drive on your desktop machine, you will first have to open up the case of your computer. After that, you will have to open up some screws and then install a new drive. Not to mention, if you want to go that route you will also have to spend a bit of money on purchasing that additional hard disk drive. What we want to tell you here is that as long as a given online consumer can ensure that he or she has access to enough storage space that is free then the process of partitioning the space makes the biggest amount of sense and for the most number of online consumers. 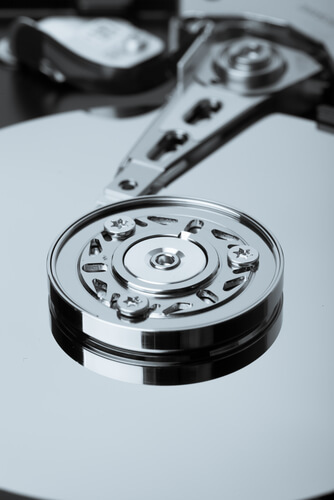 Benefits of hard drive partitions that no one seems to know about. The operative word in the above heading is SEEM. Perhaps this is a good time to mention that, the process of partitioning is typically carried out with a very specific goal or purpose in one’s mind. In other words, you do not just wake up one day and then decide that partitioning your hard drive would be a good weekend project. That is not how partitioning works. So do not try to partition your hard drive on a whim. Moving on from that, just one of the many purposes of why a person would want to partition his/her hard drive is dual-booting. We have written and researched a lot about its subject. Well, when we say dual booting, what we really want to say is dual-booting of different operating systems. That can only happen when you have available a total of two partitions. To take an example, if you have partitioned your hard drive then you can run the Windows operating system on one of the drives and then run Apple’s macOS on another drive. As it turns out, Apple as a company offers users an official tool that they can use right now for the purposes of partitioning their hard drive. We will talk more about that in the coming sections. For now, it should suffice for you to know that as long as you are able to ensure that both your machine’s partitions are, in reality, visible to your specific machine as your machine is booting up, you always have options to choose from as far as operating systems on your machine are concerned. And doesn’t that sound nice? You being able to choose which operating system you want to run depending on your need or even the day of the week, is something you should seriously think hard about. The other great thing about partitioning your drive and installing two operating systems on those drives is that a dual-booting machine is able to keep all of your important files and applications completely separate from each other. That is the general case though there are situations where some users can change that behavior. In other words, if you are knowledgeable enough you can push towards situations where you are able to set up two operating systems on your machine in a way that allows you to have the files of one of the operating systems present in one drive be available and discoverable and accessible on the operating system which is on the second drive. Now, with that said, you should not stop reading here simply because you have little to no interest in setting up a machine that can launch dual-boot. Whether or not you are excited about this phenomena, it still takes time and effort to properly configure dual-boot on your machine. What doesn’t change is the fact that you still stand to gain a good amount of benefit from multiple partitions on your hard drive to accommodate some of your key folders and files. And any other type of file that you may or may not rely on, on a regular basis. Why would anyone want all of that on a different and separate hard drive partition? Well, the simple reason here is that because partitioning your hard drive isolates all of your data from whichever random operating system that you may be running at that specific moment. If you have partitioned your drive properly you have all the time in the world to reset and then refresh your, for example, Windows operating system without ever worrying about what would happen to all of your data. That is fantastic isn’t it? Moreover, with two or more partitions and two or more operating systems, you can easily switch between them and make use of a different operating system all the while not affecting other files which your machine may have stored on the data partition. As some of you might have already guessed, having a multiple number of partitions also helps those of us who want to do some of that data recovering operations. The actual process becomes fairly easy if there comes a situation where your operating system partitions has gone corrupt or someone damaged it in any given way. You may find it hard to believe but a lot of modern computers now offer users with a feature called emergency partition. Some machines even set everything up for you. This has allowed plenty of such machines to get rid of the old option of recovery disks. Recovery disks were a mess because they came as physical disks with your computer system or some software and always got lost. The recovery partition comes in handy if you find yourself in a situation where you cannot really boot up your desktop machine or laptop in a normal manner. If that is indeed the case with you then know that you have the option of booting your machine from the previously-mentioned recovery partition. You no longer have to boot only from the operating system partition. Once you have booted from the recovery partition, you can easily get all of your data back and then begin the process of repairing your operating system or your machine or whatever it is that is giving your problems. Modern online consumers should have a separate and different data partition also because it makes a lot of sense from the perspective of encryption and backup. In other words, from the point of view of backups and encryption, you have the option of focusing on a single given particular hard disk drive without you ever having to deal with your operating system files as well as the applications related to that operating system, both of which get in the way more often than not. Moreover, it is also true that users usually find it easier to actually point a given backup application to an entire drive that has partitions rather than picking our folders and files on an individual basis. How to partition your computer hard drive? As alluded to before, both the Windows operating system and the Mac OS operating system come with built-in official tools that help users carry out the process of partitioning their hard disk drive. These tools are not the greatest things that you will ever see or hear about in your life but they are certainly carry out the bare basics really well. Of course, you always have the option of going with third-party application alternatives. These are available for both operating systems which we have mentioned above. We are also aware of the fact that there would always be some users who would require something that offers a bit more professional or advanced experience. If we take a look at the example of the Mac OS operating system for just now, we would suggest that you should go a tool like Disk Utility. You can easily find the Disk Utility on the Mac OS operating system by finding it via the Applications menu. Not only that, you can also find it by searching for the tool via the new Spotlight feature. Once you do, you should have no problems in seeing your primary internal hard drive appear on the screen. When you see the option then your real options come in the form of performing a click on the button that says Partition or doing the same on the button that comes in the shape of a Plus sign right above the label Volume. As mentioned just now, modern-day Apple Mac machines have no problems in making use of a completely new file storage format or system. The company is calling it the Apple File System or APFS. You do not need to know too much about this new system for file storage apart from the fact that this system comes with its own alternatives to hard disk partitions. Its alternatives come in the form of different volumes. Our research shows that the community has a bit of a habit of using both the terms rather interchangeably. We do not have a problem with that except newcomers may get confused. In any case, what you need to know is that even with APFS or Apple File System you get the normal options of either creating a new volume or new partition via the official Disk Utility. However, we should also mention here that Apple is definitely trying to push users into the direction of making use of volumes rather than partitions. Apple believes that volumes, on its file storage system, offer users a simpler and faster option. We would naturally like to tell you that even though what Apple says is true, if you look behind the scenes, you should not have to work too hard to notice a good number of differences. For instance, it has come to our attention that Volumes actually have the ability to change their size dynamically. The majority of our readers would already know that partitions offer users a fixed size. Our research also shows that for the majority of purposes, you should have no problems in just going ahead and making use of a volume. Now, that does not mean in any way that partitions are not useful anymore. There are still some cases where it is better to have to deal with partitions rather than volumes. We say that because partitions still offer better solutions to the problem of maintaining compatibility with various other file storage systems not named APFS. Such cases include those where you have a need of installing the Windows operating system. Our research shows that if you make use of the Disk Utility then you can create a partition or volume within a couple of simple clicks. Some of the steps are very simple and general indeed. For example, the process requires you do name your newly created disk space. The Disk Utility feature would also ask you to specify the actual size of the new disk space. However, it would only do so if you specify the new disk space as a partition and nothing else. If you choose the new space to be a Volume then the Disk Utility feature would ask you to set a minimum and/or maximum size related to the new Volume. Of course, you can skip that part and allow macOS to make things easier for you by managing everything that is involved with creating a Volume itself. Now, for users who have a desire to make a new partition for the simple reason that they want to install Microsoft Windows operating system alongside the macOS system, they need to make use of a utility called Boot Camp from Apple. You can launch this Apple Boot Camp utility directly from the Utilities which are inside Applications. Or you can perform a simple Spotlight search and then move on from there. Our research shows that the official setup wizard will do a terrific job of walking you through the whole process. You will not have to worry an inch about creating a new hard disk partition or anything else. The wizard will even help you to install the Windows operating system on the new partition. Now let’s talk about what you have to do if you are on the Microsoft Windows operating system. For those of you who are on the Windows operating system, you need to access a built-in tool that is called Disk Management. If you do not know where that is, you just need to search for it. That can be done from the official search box which appears on the standard taskbar. For some users, this option may appear on the screen as Create and format your hard disk partitions. So you do not need to worry because even the new name pretty much makes it dead simple on what the primary purpose of the utility really is. With that said, we are warning you now that do not expect the integrated Windows operating system tool that you will see to be as intuitive or slick as the one that you may have come across on the Mac OS operating system and/or platform. We say that because the procedure of creating a new hard disk partition is a bit complicated. First of all, you actually need to decrease the current size of one of your existing hard drive volumes or partitions. How much do you need to reduce? That depends on the size of the new partition that you want to create. In order to get started on this, all you need to do is to right-click on your current volume or partition and then select the option that says Shrink Volume. This option will allow you to safely reduce the size of your current or existing hard disk partition. Once your machine has managed to clear up some hard disk space, you need to right-click on the new space and then pick the option that says New Simple Volume and you are done. Just make sure that if you are using Apple Boot Camp you have 64 GB of space to run a legitimate copy of Microsoft Windows alongside it. EaseUS Partition Manager (for the Windows platform). You will have to pay $40 for the pro version though there is also a free version for you to try out first. MiniTool Partition Wizard for $40 and a free trial of the Pro version. This one also has a free edition and offers all the advanced features you could ever need.